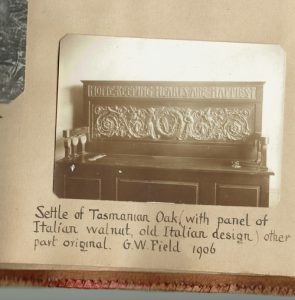 Settle carved 1906 for George.W.Field . Who was Nellie Payne? Nellie carved this settle for one of her brothers, George Westfield Field (1862-1935) who married Ethel Archer. They had 8 children.